Stagecoach recently launched a £1.8 million investment in 9 new low emission ‘Gold’ buses for its’ route, X46/X47 which runs between Thrapston, Raunds, Higham Ferrers, Rushden, Wellingborough, Earls Barton and Northampton. Passengers using bus route X46/X47 will be travelling in style from now on, as the buses have environmentally sourced Italian leather seats; free WiFi for passengers to stay connected on the move; an environmentally friendly engine designed to help cut exhaust emissions; specially trained drivers in a new uniform and a striking metallic paint livery. The upgrade to route X46/X47 follows the introduction of Stagecoach Gold buses to route X4 in 2011 which have been a great success and have been exceptionally well received by passengers. The new buses were jointly launched by Peter Bone, Member of Parliament for Wellingborough and Rushden & Andy Sawford, Member of Parliament for Corby and East Northamptonshire at Stanwick Lakes, as the service runs through both their constituencies. Wellingborough MP Peter Bone said “I am delighted that Stagecoach has made this investment to improve the quality of bus travel for passengers in Wellingborough and East Northamptonshire. I am sure that the new buses will be well used and will benefit many people. Corby and East Northants MP Andy Sawford said “Route X46/X47 provides a vital link between communities in East Northamptonshire. “Adding refinements such as Wi-Fi to buses gives people an opportunity to do more with their journey. You can’t use your phone, tablet or laptop while driving but can do so while travelling on the X46/X47. The new vehicles will encourage more people to choose to travel by bus”. Steve Burd, Managing Director for Stagecoach Midlands said: “Route X46/X47 has continued to develop over the last few years with passenger numbers continuing to grow. One of the major developments was in 2011 when we introduced newer, better quality buses onto the route and now we are upgrading the service again with brand new eco-friendly ‘Gold’ spec buses. “It is Stagecoach’s goal to continually invest in routes which are well used and popular, and we aim to give all of our valued customers the very best level of affordable, reliable, environmentally friendly, safe bus travel”. Similar buses already operate in Northamptonshire on the X4 route (Peterborough-Milton Keynes), such as Stagecoach number 15742 illustrated here at the 2013 Showbus event. 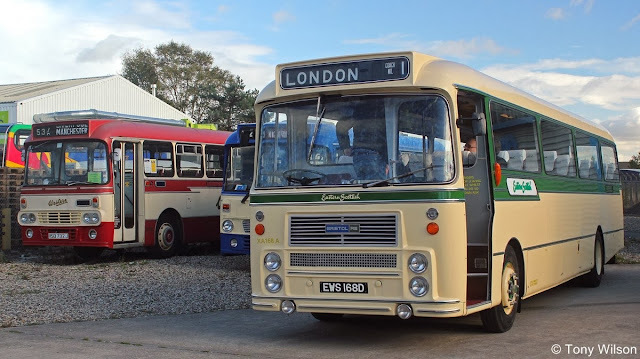 The Focus Transport Team attended the ever popular LVVS annual November event that lived up to its good name, with a fine set of locally historic vehicles out and about for all to enjoy, be it number crunching, riding or capturing the image for posterity. 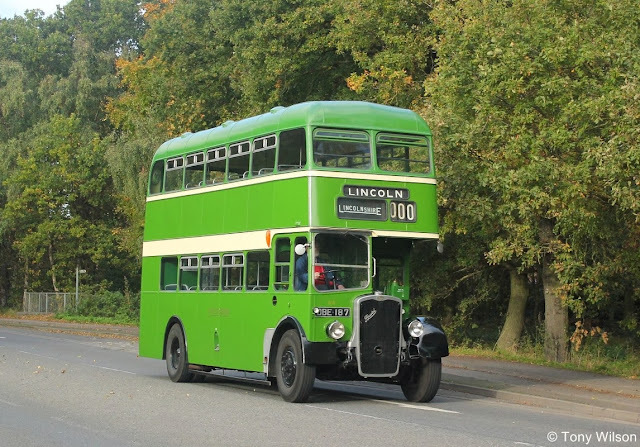 As well as the many Lincolnshire-centric vehicles out and about on the services and tours, there was also a splendid variety of visiting buses and coaches. 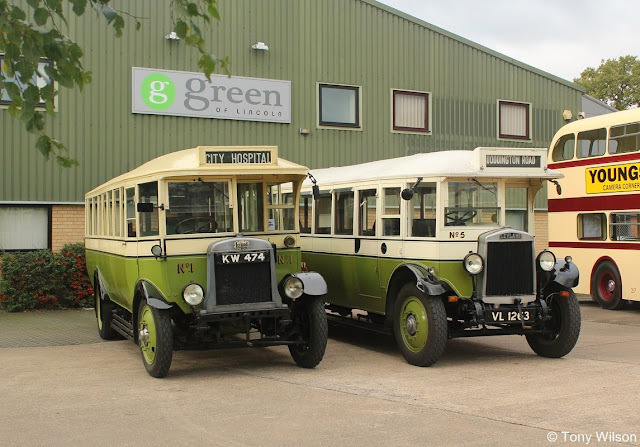 Included were a trio of Alexander bodied saloons from Scotland. One was Eastern Scottish XA 168 a circa 1966 Bristol RELH, which is allegedly unique being the remaining manual gearbox propelled version in full working order. Chatting to the driver, nice to ride in but a bit of a beast to drive as the clutch is heavy to operate. The vehicle is iIllustrated here in the company of two further Scottish Alexander bodied vehicles Midland Scottish MPE 405 circa 1982 and Western SMT L 2341 from 1971, both being Leyland Leopards. 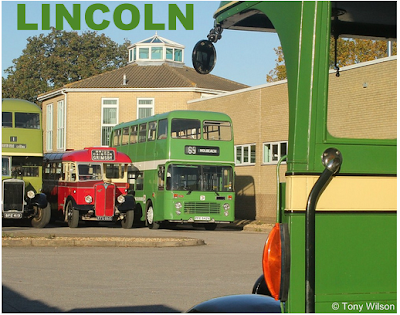 And as the words on the building behind and on the bus beside them, a couple of not so young Leyland Lion Lincoln green 'uns, sat up near to the museum, prior to taking up duties on the tours and service to and from the city centre.